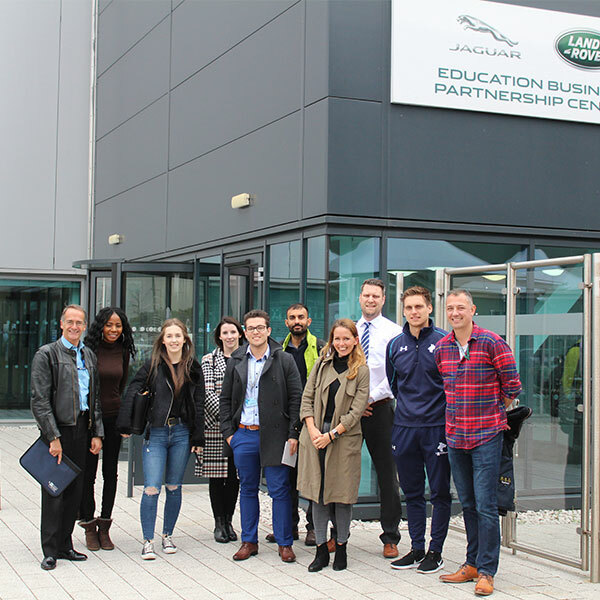 Business students from the University of Wolverhampton were given a special tour of Jaguar Land Rover’s Engine Manufacturing Centre (‘EMC’) as part of a marketing project. The students are currently working on a module management case study about Jaguar’s first electric car, so were invited to the £1billion facility at the i54 Business Park in Wolverhampton for a tour. It was the students’ first visit to the site, which was opened by HRH The Queen in October 2014. Module Leader Dr Roy Broad said: “We are fortunate to have the EMC on our doorstep and the opportunity to see a world-class manufacturing facility operating is extremely beneficial for our students. MBA students studying on both a full and part-time basis visited the facility in two groups as part of their coursework, which also involves meeting industry leaders and guest speakers involved with marketing management. Picture courtesy of Jaguar Land Rover: University of Wolverhampton Business students at the Jaguar Land Rover Engine Manufacturing Centre, Wolverhampton. For more information please contact the Media Relations Office on 01902 32 2736 or 01902 518647.